OnLive isn’t just a gaming service anymore. 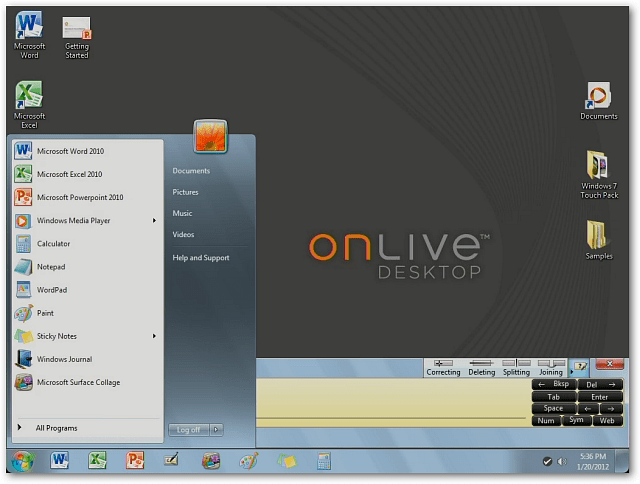 The company announced OnLive Desktop at CES this year, and you can get it now. 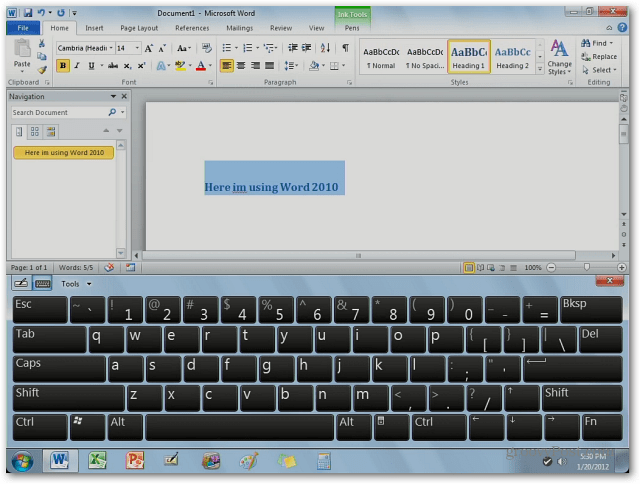 It gives you with a stripped down version of Windows 7 and Office 2010 on your iPad completely free. First you have to sign up for an OnLive account. 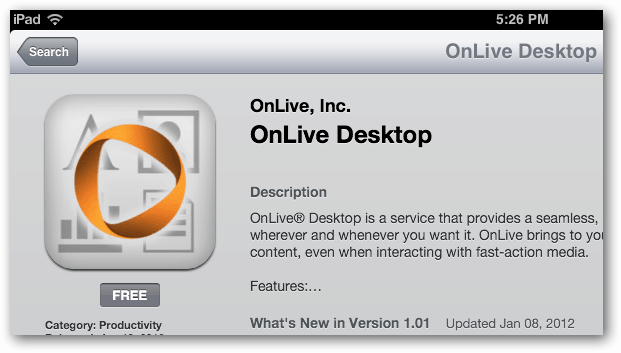 Then download the free OnLive Desktop app on your iPad. Launch the app, log in then you’re ready to start using it. It comes with a stripped down version of Windows 7. Here’s an example of the Interface after I logged in. 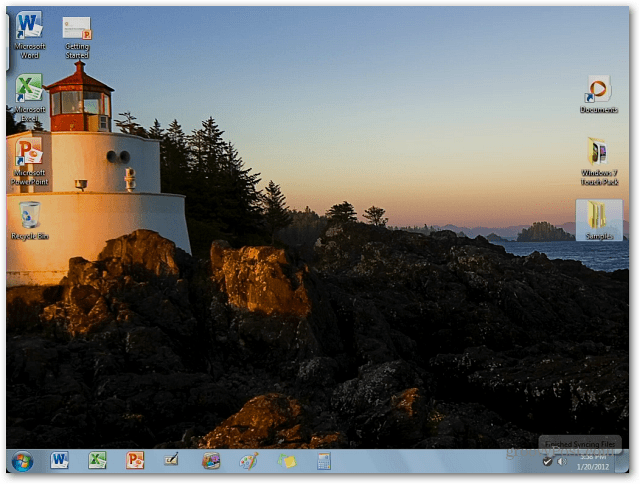 You have your familiar Start menu, Taskbar, desktop icons and more. 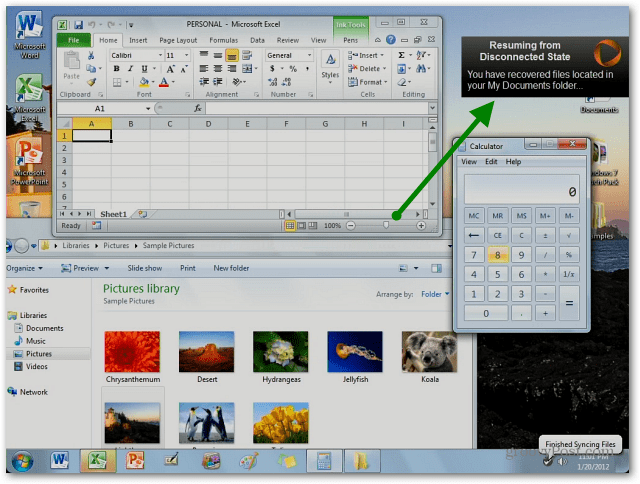 The best part is you get Office 2010 – full not just a Web Apps version. 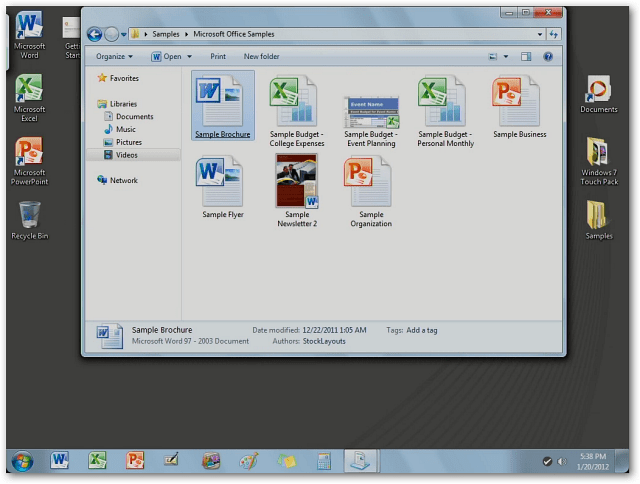 They give you the three most popular programs from the MS Office suite – PowerPoint, Word and Excel. 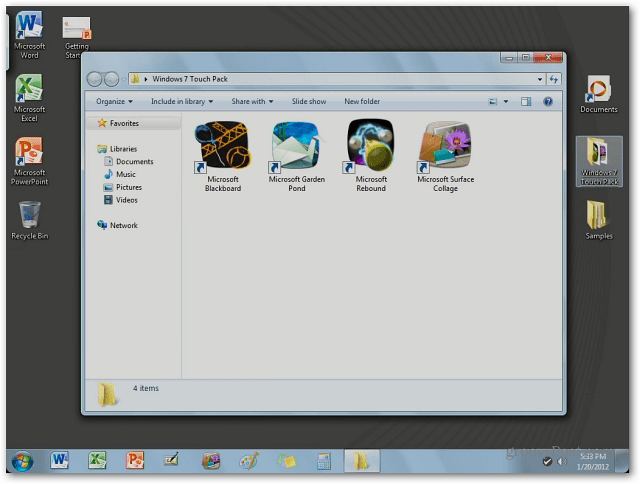 It also includes Windows Touch Pack which is a free game pack you can download on your Windows 7 multi-touch device. This replaces the standard games that come with Windows 7 – some might argue Touch Pack games are better anyway. Another bonus. Another cool feature is it’s constantly syncing your progress. It doesn’t just sync documents, but your desktop layout too unless you logout. If you log out, it brings you to the default layout. Even on a solid WiFi connection, the response has a bit of Lag. But not to the point where it’s a deal breaker. In fact the response time is similar to using any remote desktop software over WiFi. Which is saying a lot since you’re accessing it from OnLive servers. The keyboard is annoying. 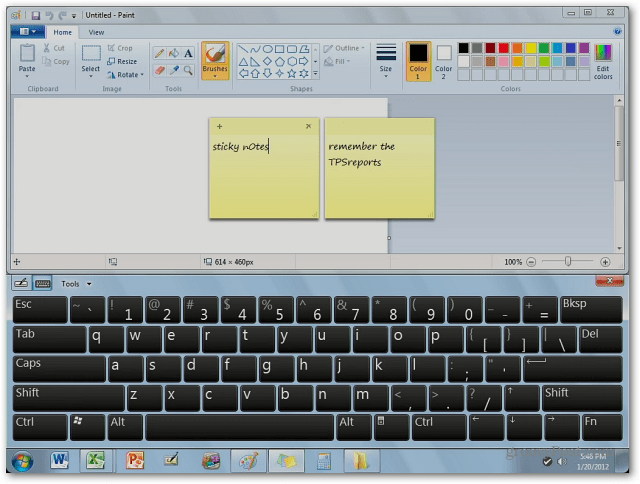 It’s Windows 7 touch, not the iPad keyboard. It feels cramped and clunky — I found no way to make it larger either. But you can go into Tools and make it an expanded keyboard. To emulate a right click, hold down one finger until you see a circle around it, then tap the screen with your second finger. 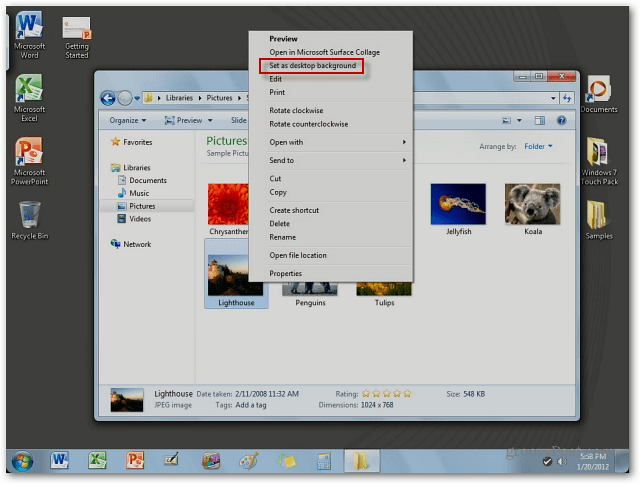 Like in this example I’m pulling up the context menu to change the desktop background. Here I just picked the sample Lighthouse picture. Although it’s not a full version of Windows 7 in the free version, most users will find this handy for basic use. Here’s an example of Paint and Sticky Notes. You’re able upload and sync files to your iPad via the OnLive service. The free version gives you 2GB of storage. You have to pay $9.99 a month for the Pro version which gives you more options and storage space. But you get MS Office 2010 for free! You can’t argue with that. We’ll be taking a look at the Pro version of OnLive Desktop in the near future. The company says a version for Android and other mobile platforms is coming soon. Here’s an OnLive video showing more of what you can expect. is it just me or does this look better than Microsoft’s implementation of a tablet pc? wow, very nice. can’t believe it’s free! 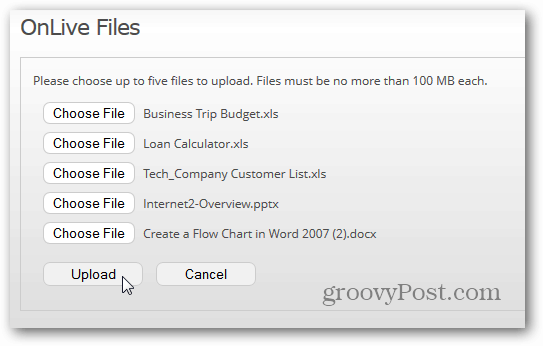 Oh question – can you install Dropbox on it? I use a WebOS HP Touchpad and really like it’s ability to run several programs, on cards, at the same time. I do like Windows 7 on my home & work PC’s. Any chance this program will be opened up for the Touchpad? How much space does this take up and can any documents be transfered 2 and from ones own desk top. It seems to be the answer to my big problem using the ipad to read and edit windows documents when not in my office. When will Onlive Desktop be available in New Zealand? Not available i n Australia according to every process I could execute(either on IPad2 or Laptop) – not in App Store, says available in iTunes store but then says only available through US iTunes Store so changed country and used my log in ID only to be told that ID does not work for getteing things from a US store. So no luck. Any clues? This thing is brand – brand new so I’m guessing like most services, it will be starting out in the USA first, then the UK then expanding probably to the AU next being native English speakers.